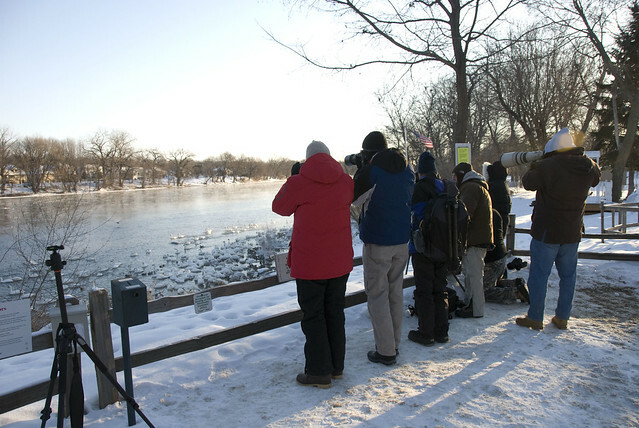 I'm only a few weeks behind... but a few Saturdays ago I woke up bright and early and traveled about 45 minutes northwest, to meet with some acquaintances of the Twins City Photography Group. 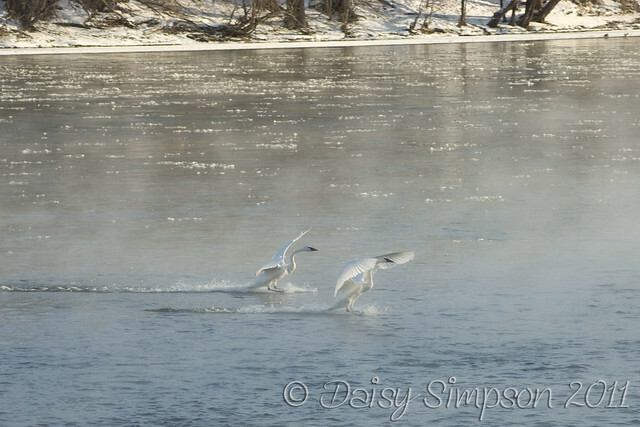 We met to get pictures of the Monticello Trumpeter Swans. 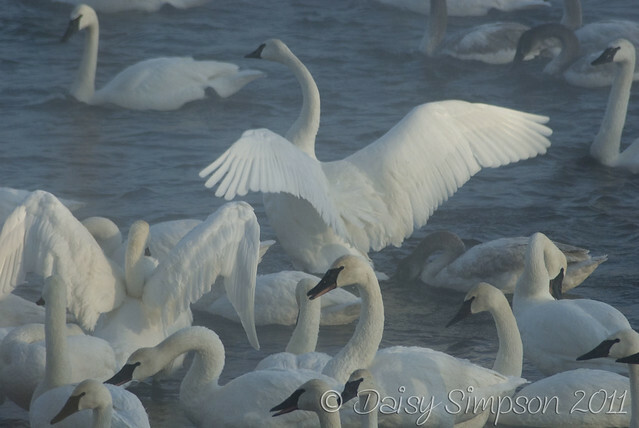 Every winter the swans gather in this area on the Mississippi River, where there is open water. 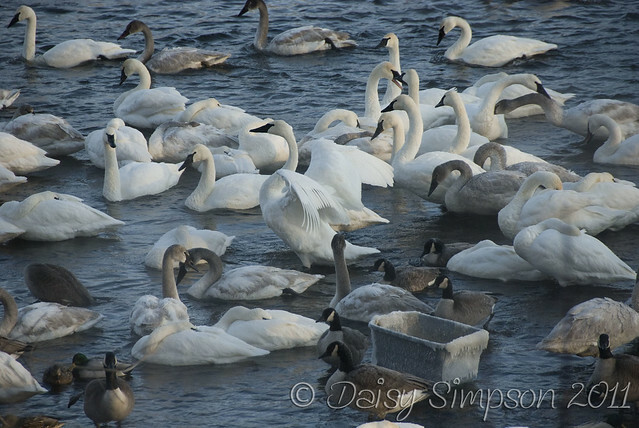 The residents around this area feed the swans. 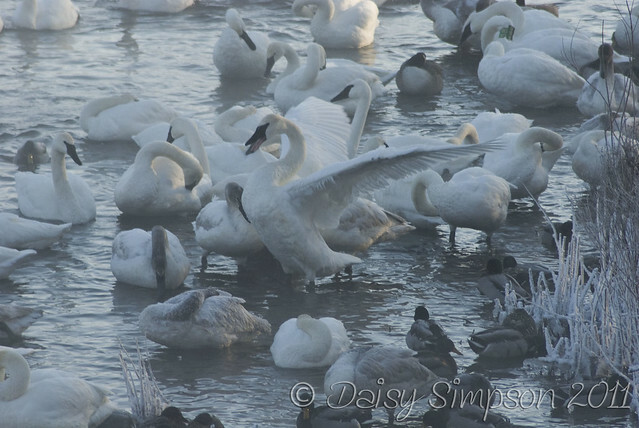 We were there early enough to see the swans before the mass feeding began. 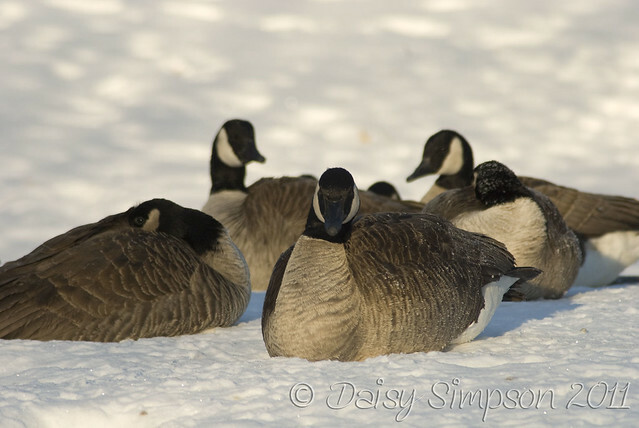 As I got out of my car in this residential neighborhood, all I could hear were honking geese! It was crazy how loud they were. I think I would get a little annoyed having to hear that every morning, or maybe the residents just wear ear plugs. It was a chilly morning, a whopping 5 degrees! You can even see the ice on the feeding buckets and the steam coming off the river. 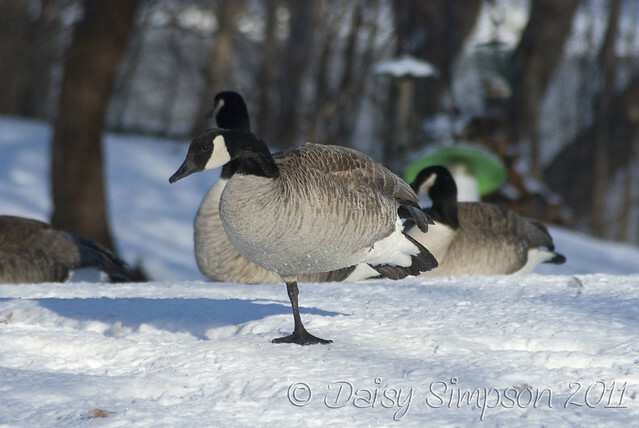 This guy was so cold he didn't want to stand on both feet! After about a good 45 minutes, the homeowner came out to begin their feeding time. 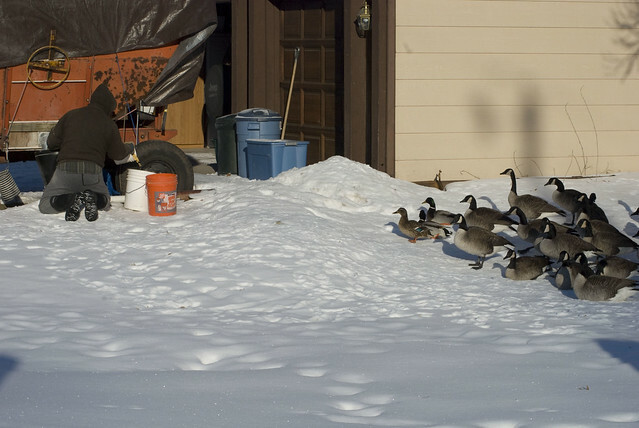 He started with feeding the swarm of geese (and ducks) up by the house. 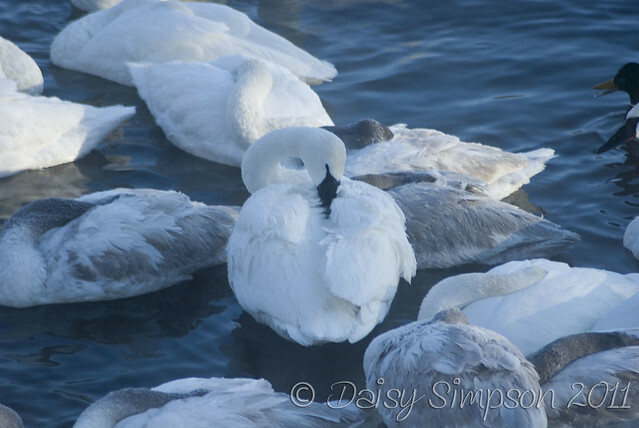 Then went down by the water to feed the swans. There was a tube type thing, which we realized was a mechanism for getting the food down by the water. 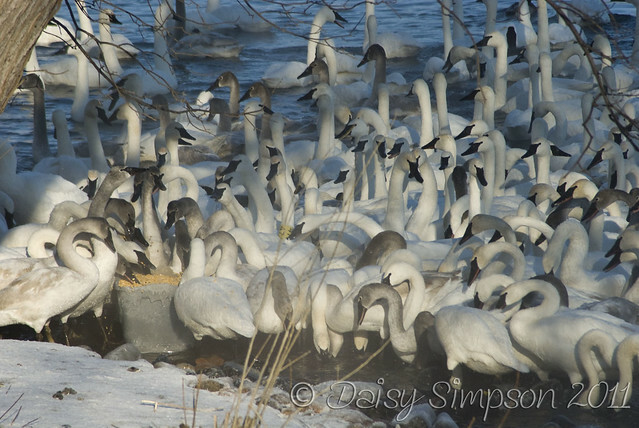 Once feeding time began it was a massive swarm of swans, geese, and ducks. It was amazing to watch. I didn't post all my photos on here, you are more than welcome to click on any of the above pictures and that will take you to my flickr pool where you can sift through the other photos :-) I think there is a total of 21 photos posted on there.